This one is for the ladies! Want to learn to shoot? Or improve your skills? 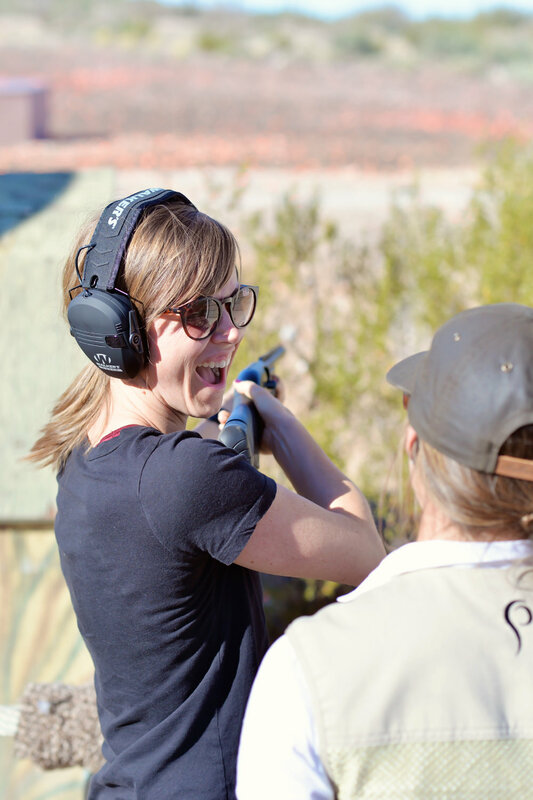 Join us for a women’s group sporting clays lesson at Rio Salado Sportsman’s Club. This is a great opportunity to learn a new hobby and meet other women who enjoy this fast growing sport. The $40 fee includes shells and targets. All shoots are located at Rio Salado Sportsman’s Club in Mesa. Sporting clays is a fun, social sport! Ladies, this one is for you! Come shoot with us on Saturday, October 20. If you have ever wanted to learn how to shoot a shotgun, are an experienced shooter, or looking to improve your skills, this class is for you. Invite your girlfriends and join us for this popular event. The $40 fee includes shells and targets at the Rio Salado Sportsman's Club. Space is limited.